We wish you a warm welcome to Loiret. We guarantee you an enjoyable stay, whether for business or for pleasure. Our team is on hand to make your dream come true! So what are you waiting for? Give us a call. Just next to the Sainte Croix Cathedral (800 m) and from the historic centre (3 km) of Orleans, this Mercure hotel is the right place to combine a business trip and relaxing with a stroll along the banks of the Loire. Fitness center, pool and terrace. Shiatsu massage for our guests every Wednesday evening. Outside parking or secure undercover car park (fee applies). Family room, crib available. 10-minute walk to the city center. Jazz evening at the bar, every 3rd Thursday of each month until April. We offer different categories of rooms to suit your needs. 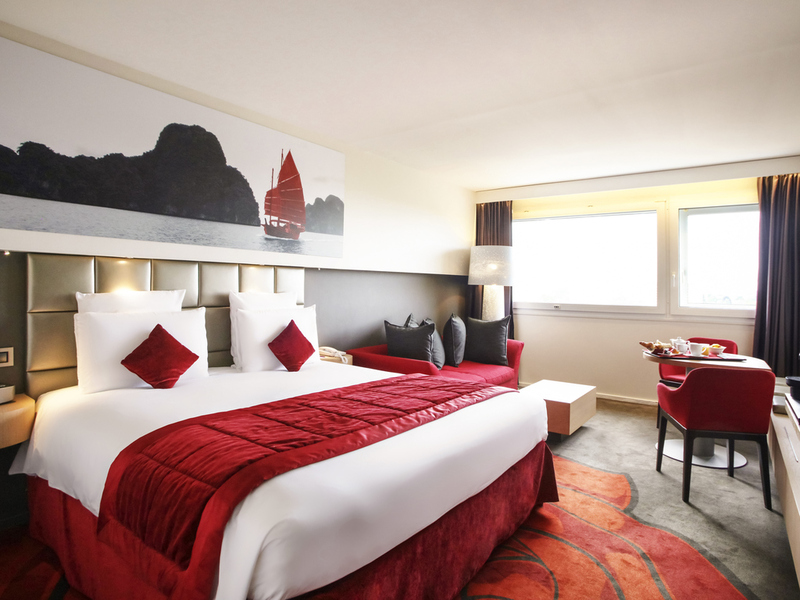 Our Standard rooms overlook the Loire or le pont de l'Europe bridge, our Superior Rooms overlook the old town and our Privilege Rooms benefit from a wide range of services. If you are travelling with your family, we also offer spacious rooms with 2 double beds or 1 double bed and a sofa bed that transforms into twin beds. Our chef and our team have achieved the "Maître Restaurateur" label. We only work with fresh products processed on-site. Our menu is full of regional and seasonal produce. Enjoy our terrace in the summer. Enjoy our "44" bar every day until midnight. Mathieu, our barman, will introduce you to our excellent whisky cellar and cocktails. On the third Thursday of every month, we host a jazz evening.